Omaha will be a labor of love for hundreds of families this September as host of the 25th Anniversary celebration for the Pope Paul VI Institute. The event will bring an estimated 500 visitors into the city right before Labor Day. The Pope Paul VI institute is a Catholic Institution based in Omaha dedicated to women&apos;s health and fertility issues. The anniversary celebration is a giant reunion for all the families who have been helped by the Institute. 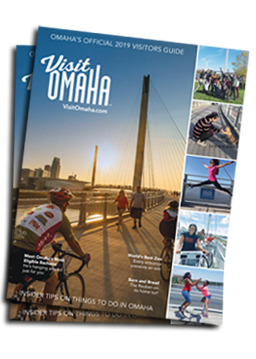 "These families will be coming to Omaha from all over the country, " said Dana Markel, Executive Director of the Omaha Convention and Visitors Bureau. "This is a great example of a local organization taking pride in Omaha by inviting visitors to experience the city." Attendees will be in Omaha from September 1st through the 5th of 2010.